Earlier this summer, I was approached by Arhaus who wanted to know what my ideal reading nook would look like. This post is my answer to their question. I could spend HOURS writing about this. In an effort to save time and get to my favorites, I decided that a reading nook needs to be cozy and comfortable while still providing good light and plenty of room for all of my books. Below, you will see the top three items that I fell madly in love with in my quest to answer Arhaus' question. The ideal reading nook must be a place to spend hours reading. I have never been one to sit in a chair and read. Why? Because every time something happens in the book-I move. If I'm happy, I curl myself into a big ball and get as close to the book as possible. When I'm mad, I tend to kick my legs out and spread out to get as far away from the idiot characters as possible. Therefore, a chair usually doesn't hold me for long. My bed is typically the most amazing place to stretch out, curl up, sit up, kick out, and whatever other motion is necessary for my reading motion spree. It's not graceful and it's not pretty. 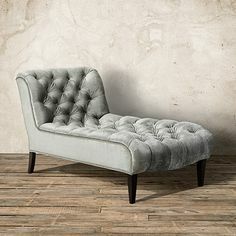 That was why I was totally excited when I saw this chaise on the Arhaus website. I can definitely see myself all wrapped up in a colorful afghan and stretched out! This is especially perfect as it can fit easily beside a window or alongside a wall to fit easily into a more compact space. Obviously, bookshelves can make or break a reading nook. They need to be large enough to hold all of your books. They need to be beautiful enough to fit with your ideas about decoration. They need to be elegant enough to show off your personality. I have always been a fan of the shelves from The Beauty and the Beast and heard the sound of my jaw hitting the floor when I came across this wall unit. Now, I would definitely need something more than this unit to hold all of my books. With it, I would be off to a tremendous start! I love the sliding ladder! 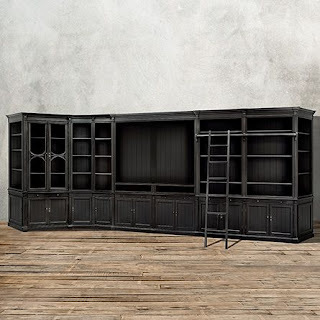 I can easily see this wrapping around a corner and ending near a window with the chaise slid in front of the wall unit so I never have to leave my spot to pick up a new book! During the day, I would love to have the light of the sun to illuminate my pages. At night, at least in Northern Minnesota, outside light is not enough to read by. Therefore, I need a light soft enough to read by without encouraging me to stay awake all night long. It took a long time for me to choose from all of their selections on the Arhaus lighting page! What a collection! 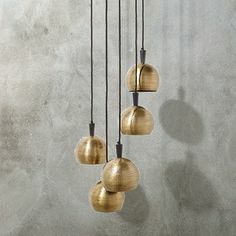 Finally, I decided that this pendant lighting would do a wonderful job. I love the brass color and believe that it would add a modern and colorful look to the beige of the chaise and the black wall unit. It is so easy for me to picture these three items in my home. Now, I'm almost sad that I have to go back to a simple roller chair or my bed. What do you need in your ideal reading nook? What would you like to get? What do you think of my top three items? Right! You have to be able to move with the book! You forgot to ad a side table to hold your beverages. What is a book without tea/coffee? I thought about that! Ultimately, I decided that because I would just end up setting the cup on the floor, I didn't need a special table to accidentally end up ignoring or kicking the cup off of.